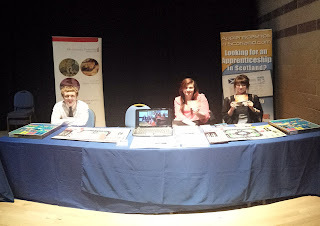 The Apprenticeships in Scotland team, Shannen, Rebekah, Mary and Liam, exhibited at the Fife Chambers of Commerce event in Glenrothes on Wednesday 22nd May. 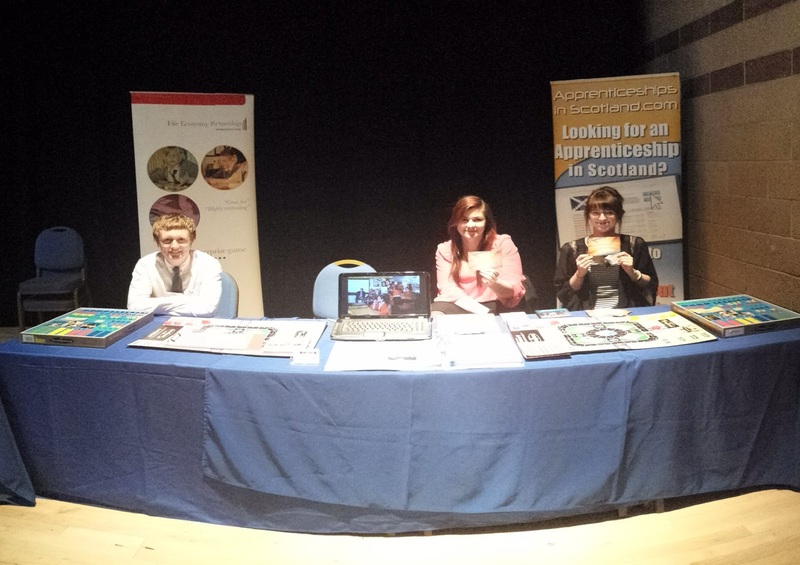 The team were showcasing as part of their partnership with Fife Council to promote Scotland’s first ever Apprenticeship in Enterprise to assist the Culture for Enterprise project stimulate business start-up within Fife. The young apprentices also showcased the Enterprise Game, which they deliver in Fife schools as part of their Apprenticeship in Enterprise. Various employers expressed their enthusiasm for the apprenticeship and the Enterprise Game. The long term goal is to get the Apprenticeship in Enterprise approved by government to be recognised and funded as a Modern Apprenticeship. This would in turn; mean there are no training costs for the employer. As project manager, Shannen is collating a network of employers that are interested in making this happen.